Have you already had your first snowfall of the season? We had an inch recently, but it disappeared the next day. I'm still dreaming of a white Christmas. Any crafter will tell you that the worst part of the creative process is finding the supplies you want to make the project that's in your head. 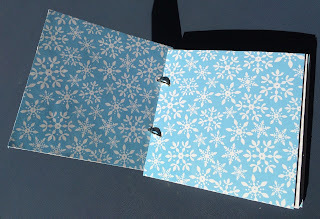 That was my predicament when I wanted to make this snow-themed mini album. I knew the size and shape I wanted, but I couldn't find anything remotely close to that in stores. So I made my own - and you can, too. 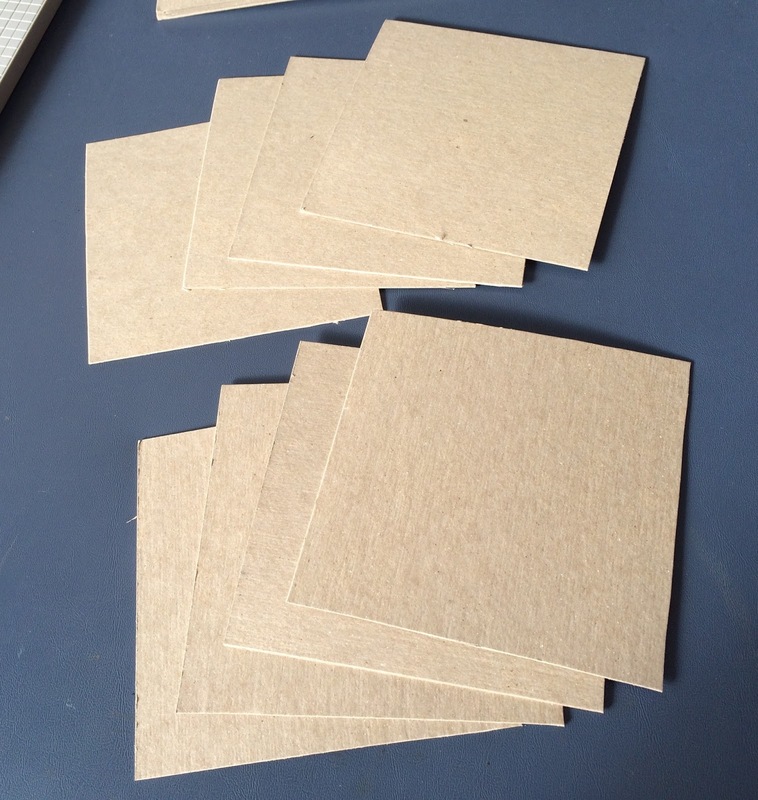 Start by cutting 5-inch squares from heavy cardboard. Just score them on your paper trimmer and finish cutting through with scissors. Punch holes through each page for the binder rings. Cover one side, then punch through the holes in the cardboard. Cover the other side and punch those holes, too. When you're done, string the pages onto the rings in the order you want. 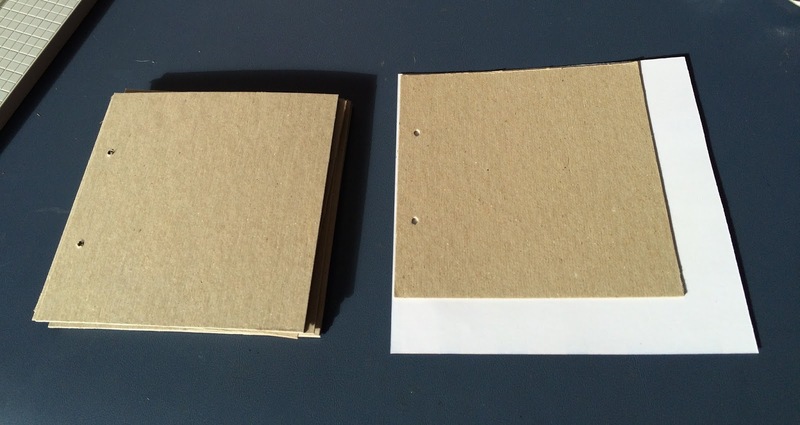 Alternate papers throughout the album or make facing pages match like those here. 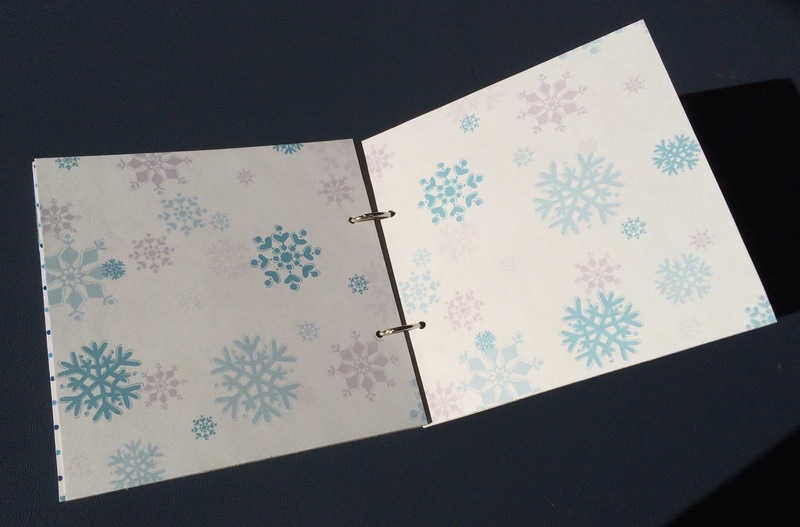 If your binder rings aren't quite big enough, the pages won't open all the way. 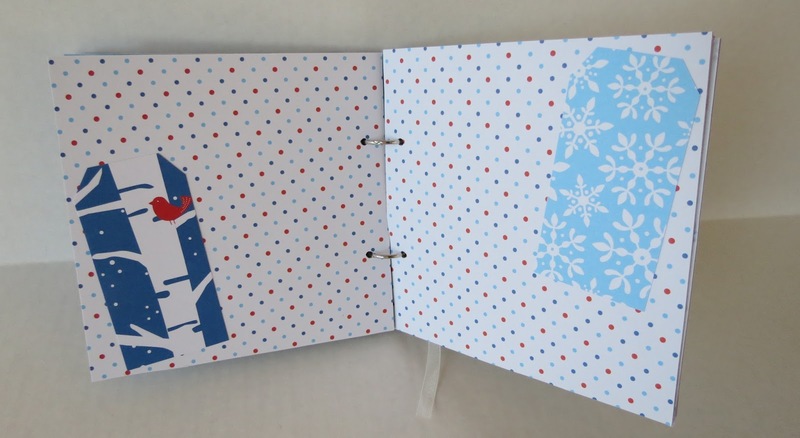 Go a size up if this happens, or take out one set of pages to free up some room. 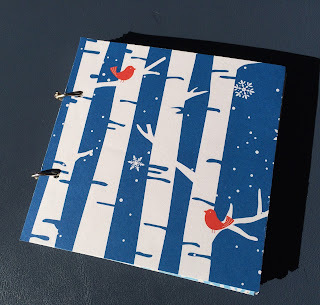 Then go through and add your embellishments. I chose coordinating, hand-cut paper tags. They can be as simple or as fancy as you'd like. Once you're done you'll have a one-of-a-kind winter album. Now you can fill it with pictures and memories of winters past. Or you can give it blank as a gift and let the recipient choose how to fill it.